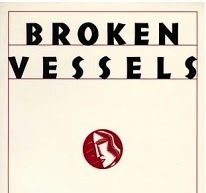 This is a collection of 22 essays written by Andre Dubus between 1977-1990. The essays are personal to the author and are short stories of different times in his life. The first is lighthearted and funny, relating what life was like living in a rented house and taking care of the landlord’s stubborn and stupid sheep. And Christ had called us his flock, his sheep; there were pictures of him holding a lamb in his arms. His face was tender and loving, and I grew up with a sense of those feelings, of being a source of them: we were sweet and lovable sheep. But after a few weeks in that New Hampshire house, I saw that Christ’s analogy meant something entirely different. We were stupid helpless brutes, and without constant watching we would foolishly destroy ourselves. From there the essays get more intimate as Dubus writes about his bullied childhood, his beloved kids, his precarious writing career, and the life-altering accident that took one of his legs. The title for the book comes from the last and most moving essay which, in part, he describes the trials of learning to live without the full use of his legs. One morning in August of 1987, shuffling with my right leg and the walker, with Mrs. T (the physical therapist) in front of me and her kind younger assistants, Kathy and Betty, beside me, I began to cry. Moving across the long therapy room with beds, machines, parallel bars, and exercise bicycles, I said through my weeping: I’m not a man among men anymore and I’m not a man among women either. Kathy and Betty gently told me I was fine. Mrs. T said nothing, backing ahead of me, watching my leg, my face, my body. We kept working. I cried and talked all the way into the small room with two beds that are actually leather-cushioned tables with a sheet and a pillow on each, and the women helped me onto the table, and Mrs. T went to the end of it, to my foot, and began working on my ankle and toes and calf with her gentle strong hands. Then she looked up at me. Her voice has much peace whose resonance is her own pain she moved through and beyond. It’s in Jeremiah, she said. The potter is making a pot and it cracks. So he smashes it, and makes a new vessel. You can’t make a new vessel out of an old one. It’s time to find the real you. It’s a great book and well worth buying and well worth reading. I give it 5 out of 5 stars.